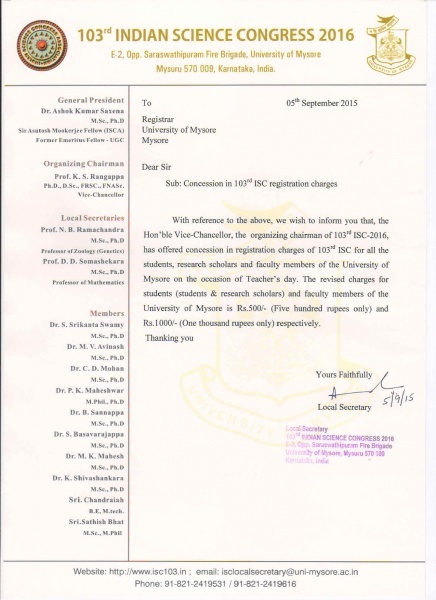 NOTE : M.Sc. 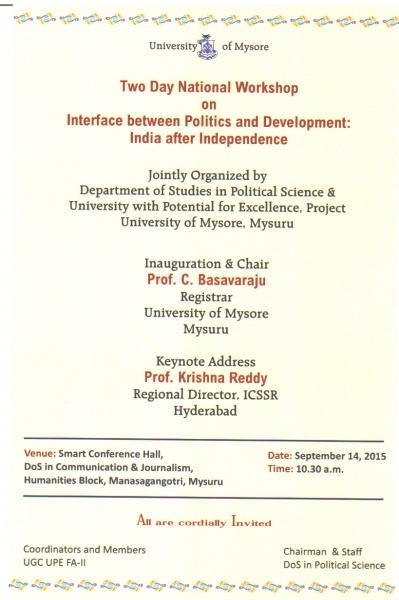 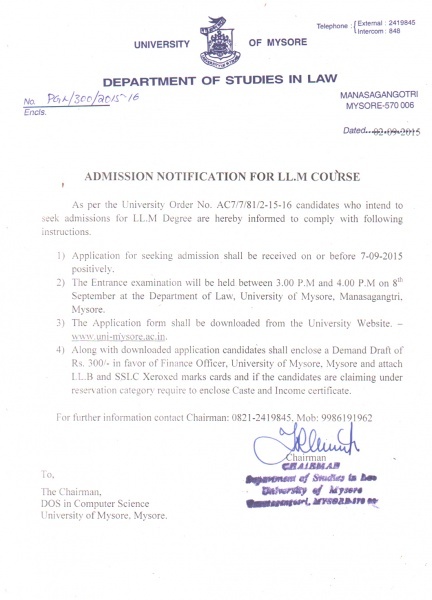 Electronics additional entrance examination is conducted on 07-09-2015 at 11 AM at Department of Studies in Physics. 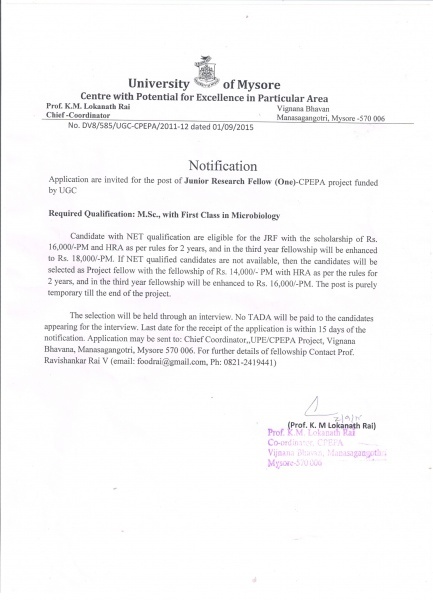 Junior Research Fellow notifiation for UGC CPEPA project by Microbiology Dept. 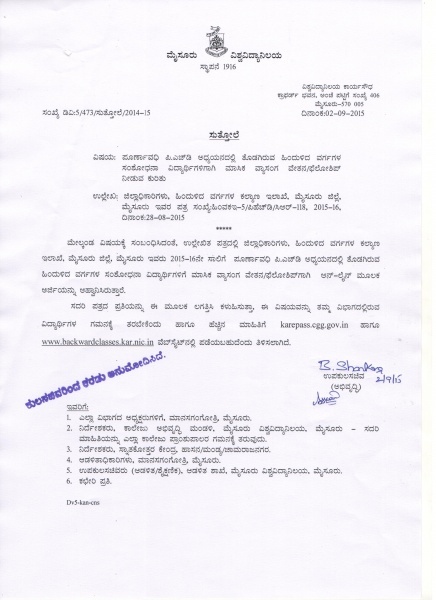 UGC-BSR Research Fellowships notification by Food Science and Nutrition dept. 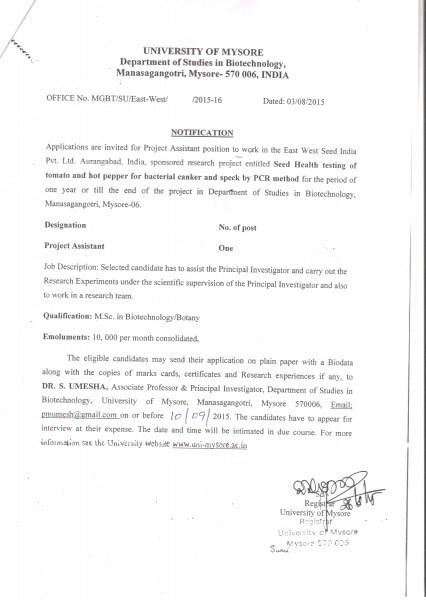 Project Fellows Notification for various projects by biotechnology dept. 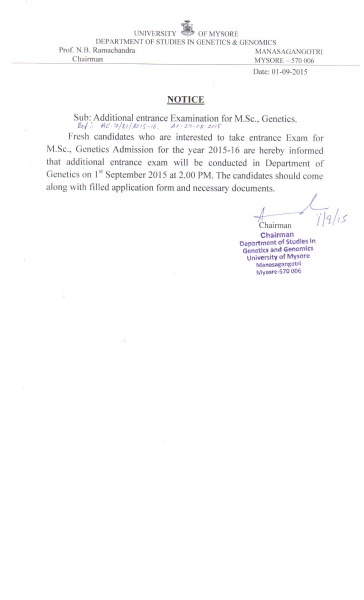 Research Project Seed health testing of tomato and hot pepper for bacterial canker and speck by PCR method.